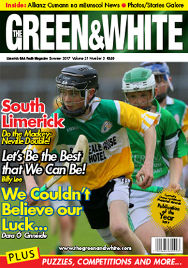 Sciath na Scolâs Gradam Gaisce Scoile initiative was recognised at National level recently when it won first place at the Cumann na mBunscol National Awards held in Croke Park, sponsored by Cornmarket . 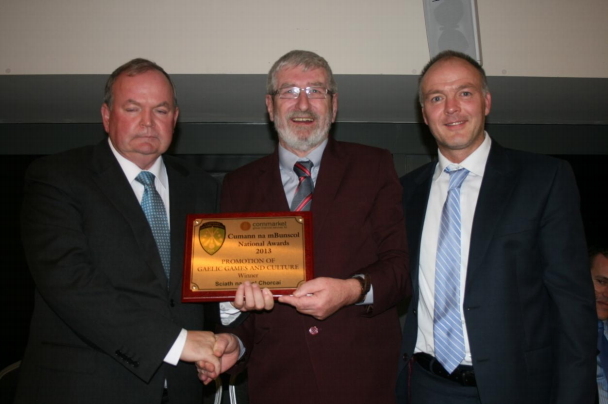 It won the Category for Promotion of Gaelic Games and Culture and Liam Mac an Mhaoir accepted the award and cheque from UachtarÃ¡n CLG, Liam OâNeill. Also in photograph is Ivan Aherne, Marketing Manager, Cornmarket, formerly of St. Michaelâs and Nemo Rangers.